It's time to pay some bills. Don't worry - we'll help you make short work of them. 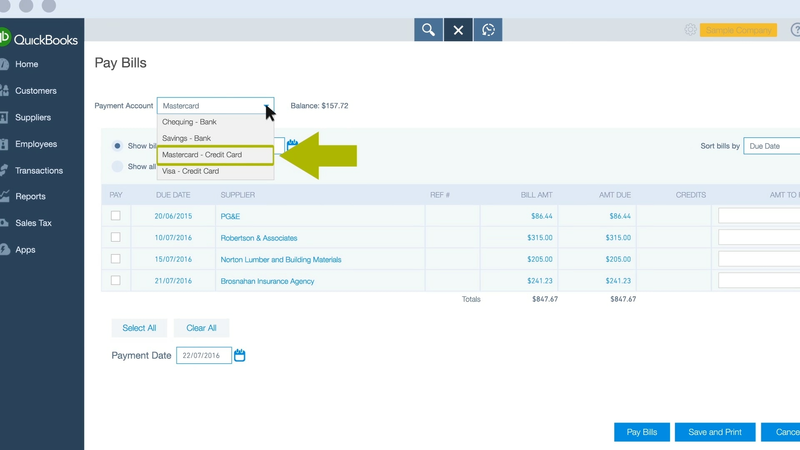 QuickBooks offers two ways to pay bills. Learn how. 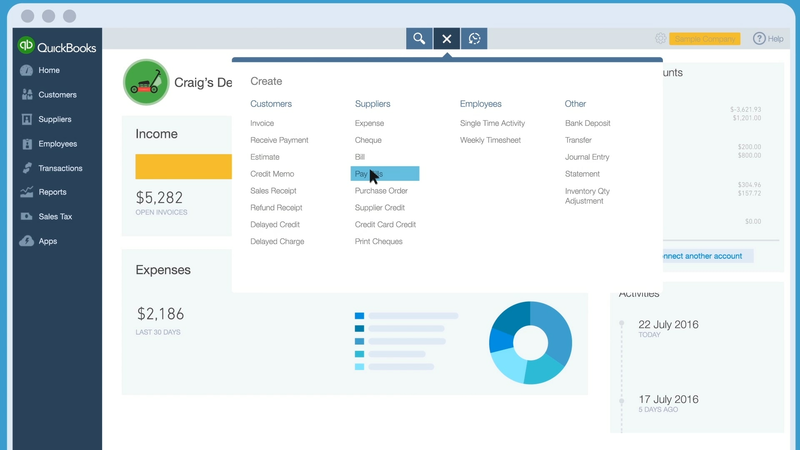 From the home screen, click on the + menu and beneath the “Suppliers” column select the Pay Bills tab. 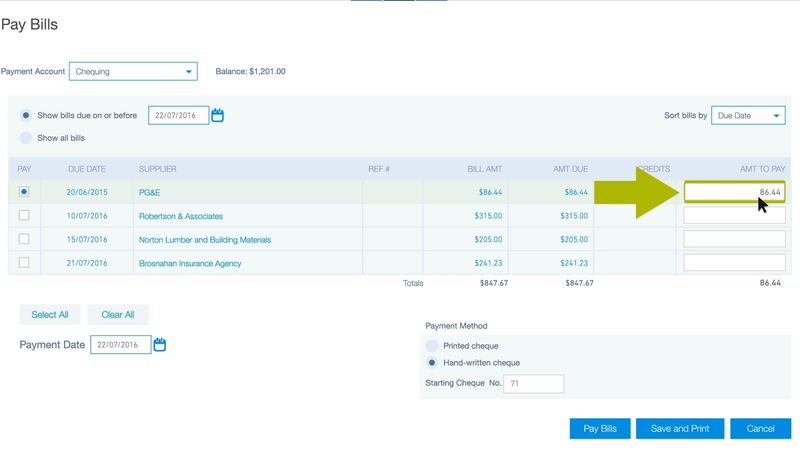 In the upper left-hand side of the Pay Bills screen, you’ll see a drop-down menu labelled Payment Account. Click on the drop-down menu and select the appropriate account from the options available. If you paid these bills by credit card, select the appropriate credit card account. Or, if you paid these bills by cheque or with an online transfer, choose Transaction. If you’ve already connected your transaction account, you can skip the following steps. 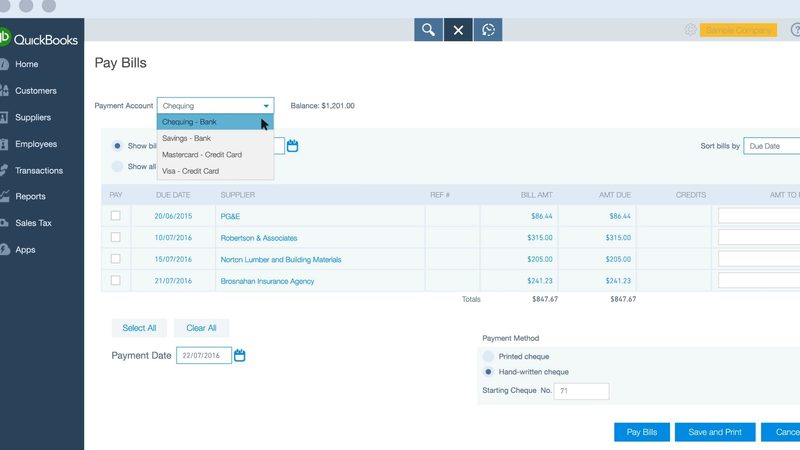 QuickBooks will match downloaded payments to your suppliers’ open bills and record your bill payments automatically. If you haven’t already connected your transaction account, then you’ll need to tell QuickBooks which bills you want to see and how you’d like them sorted. 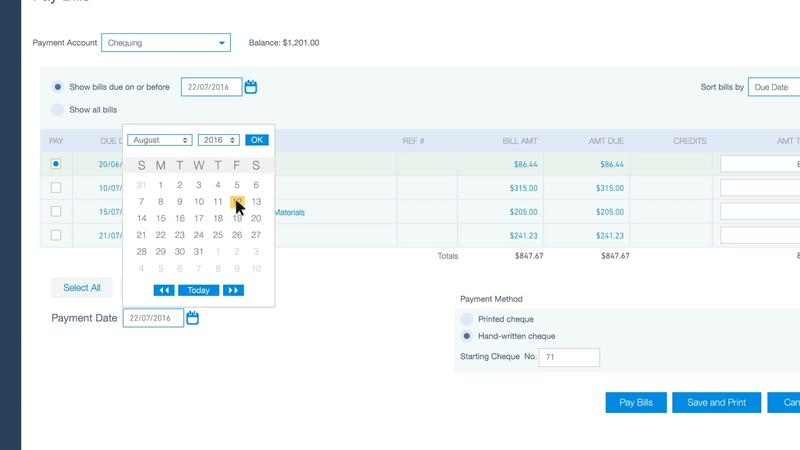 To do this, open the Filter drop-down to refine by date and payee. In the table of bills below, check the boxes beside all of the bills you want to pay. If you’d like to make a partial payment, you can change the Payment in the text box to the right of the row. 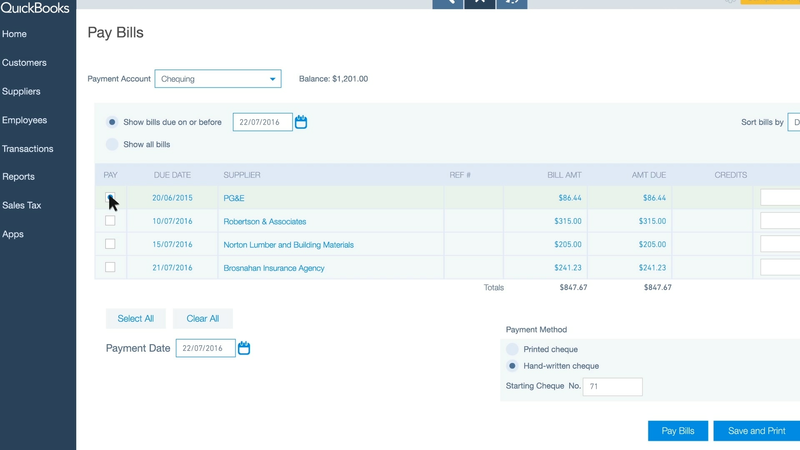 QuickBooks keeps track of anything still owed on your bill. Next, you’ll need to choose the Date you plan to pay the bill(s) you’ve selected… or the date they were already paid. 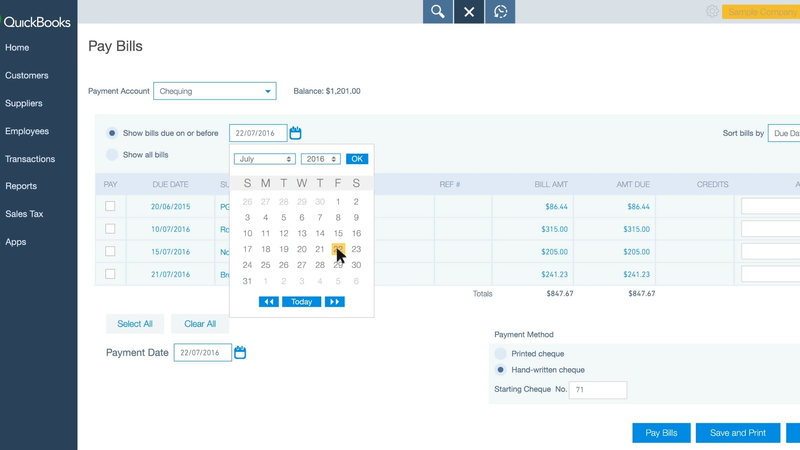 To do this, locate the “Payment Date” section, then choose a date from the drop-down calendar. You can select Save and Print. And that’s it! 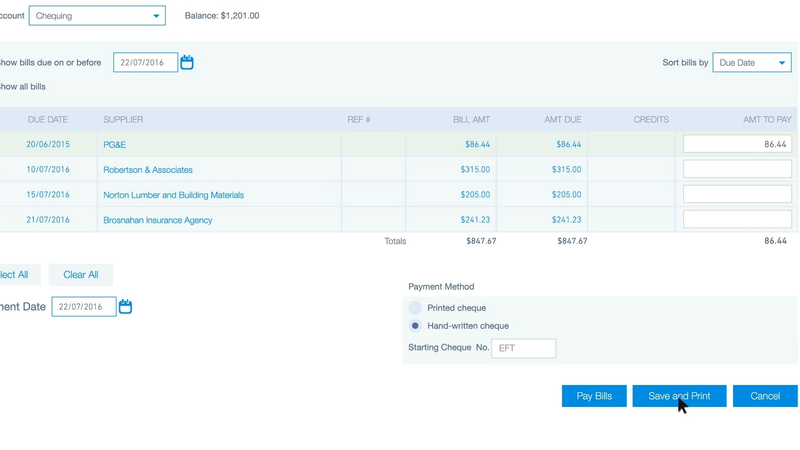 Try it out and relax knowing that you’ve paid your bills and recorded the payments correctly.